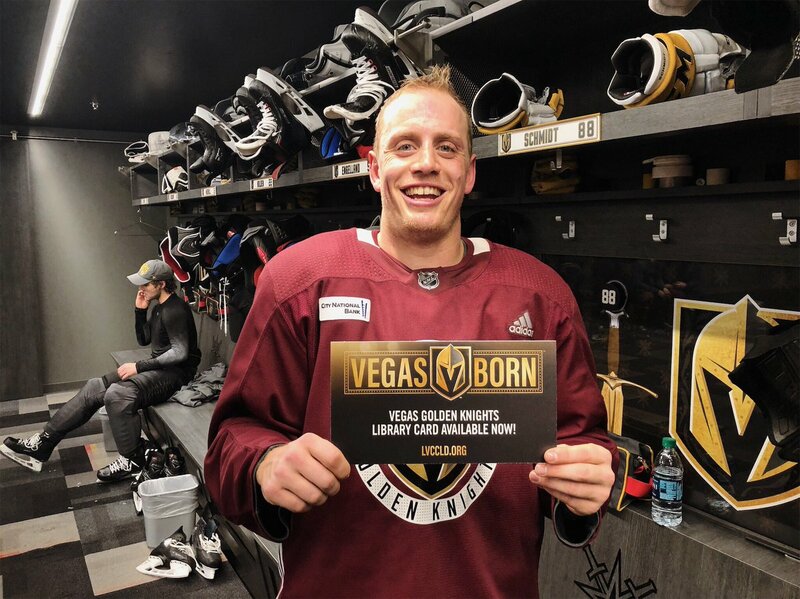 Introducing the Official Vegas Golden Knights Library Card! 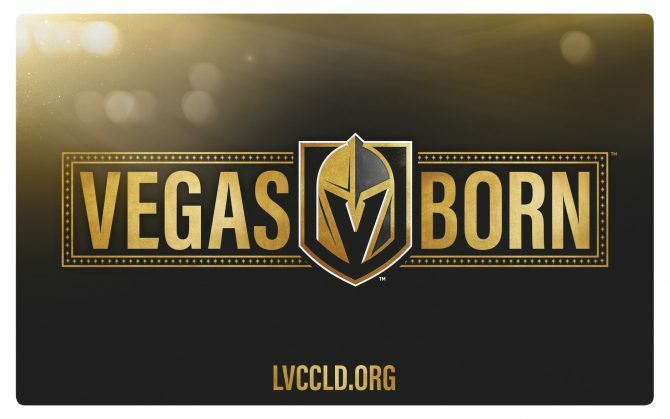 Clark County residents now have the opportunity to support both their library AND their beloved local hockey team, by claiming their very own Vegas Golden Knights “Vegas Born” library card. 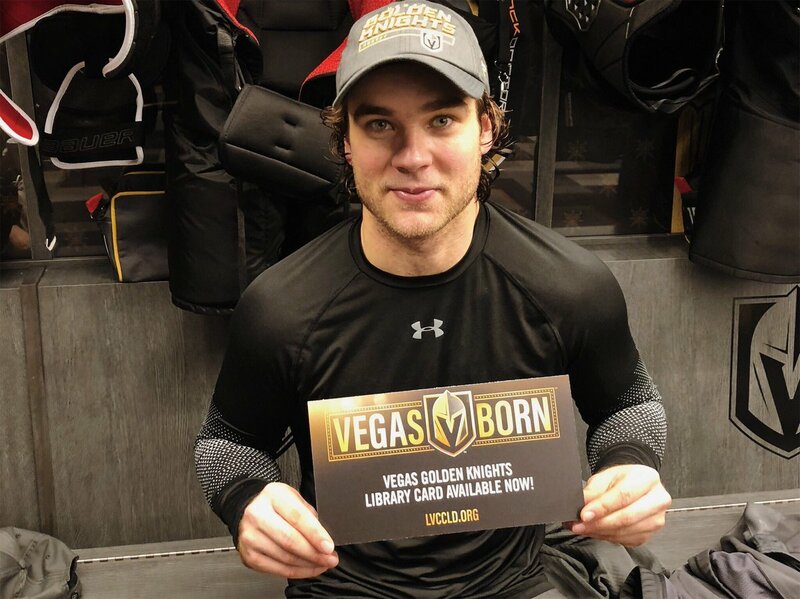 It’s easy to get a Vegas Golden Knights card. New cardholders can start the sign-up process online, or at their nearest Library District branch, where they must present a photo ID and proof of address, such as a utility bill. Current cardholders who want to trade in their existing card can do so at their nearest branch. 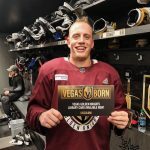 Snap a photo with your new card and share it with us! 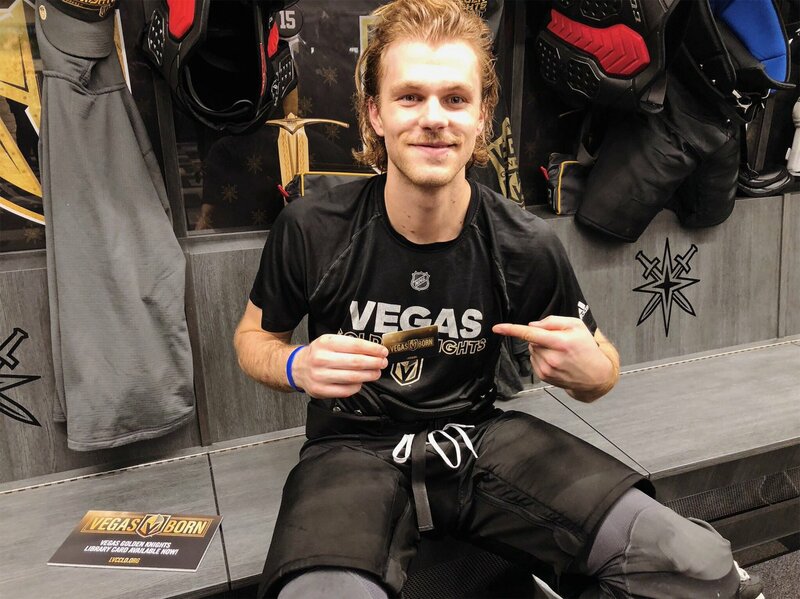 Tag us on @LVCCLD on Facebook, Instagram, and Twitter. 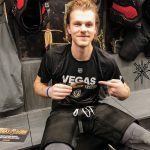 Don’t miss the new blog from Vegas Golden Knights mascot Chance the Gila Monster at Chance the Gila Monster's blog, spotlighting his favorite books, movies, and music each month! 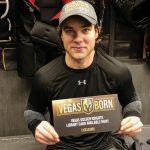 Stay tuned to LVCCLD.org for more exciting announcements, including lots more exclusive Vegas Golden Knights content. Explore LVCCLD.org to learn more about the free education, technology, and arts programs that the Library District provides.